KA-BOOM! Don’t worry your pretty little head. It’s not the North Koreans or Iranians dropping bombs. 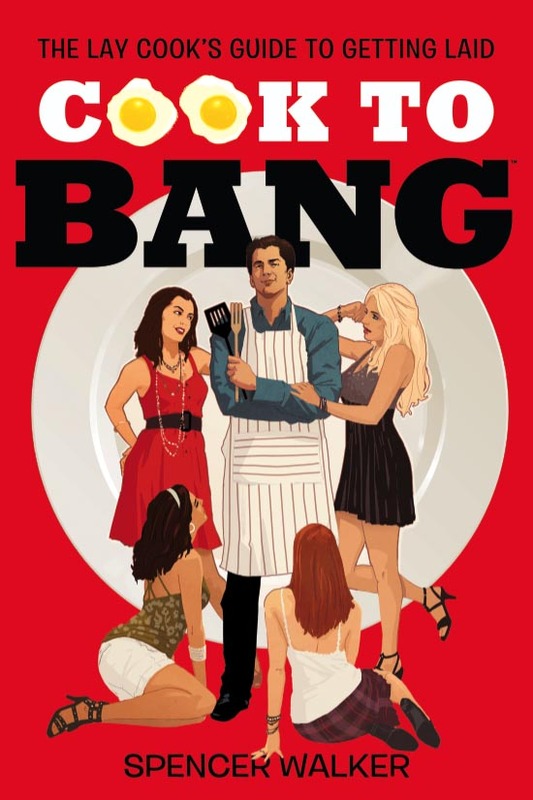 This bomb is going off in your mouth and then in your pants. The APHRODISIAC quantities have been quadrupled to ensure you get your based needs met. It’s sort of like napalming an entire jungle to take out one sniper. Overkill? Perhaps. But the job gets done and you get off. This overzealous approach happens to offer banging flavor blasts that should keep you popping, locking and dropping trow. Finally you have a reason to get up out of bed where you have someone slumbering peaceful and naked. Wake them up with a mouthful of eggs and a crotch full of you. KA-BLOOEY! Heat up the black beans with one pot. 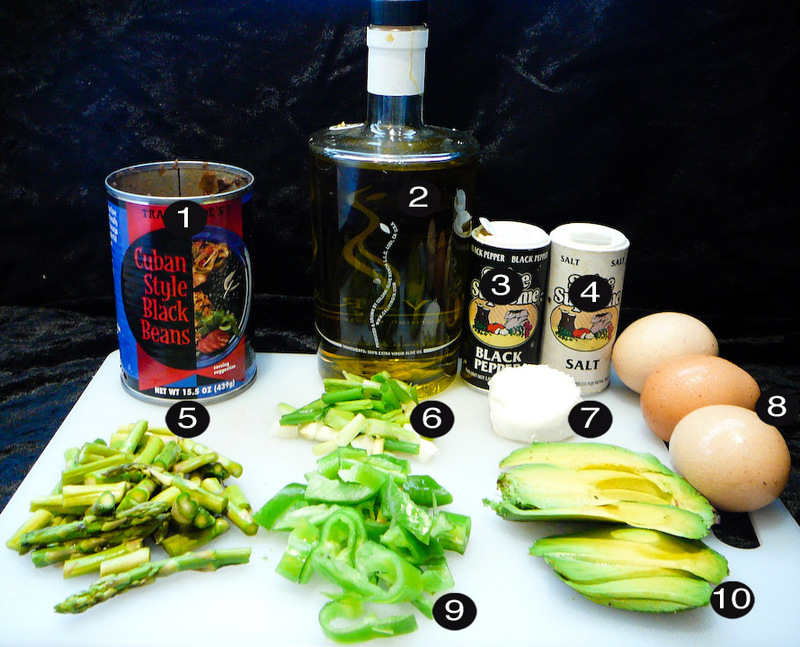 Sauté the asparagus and green chili with the olive oil. 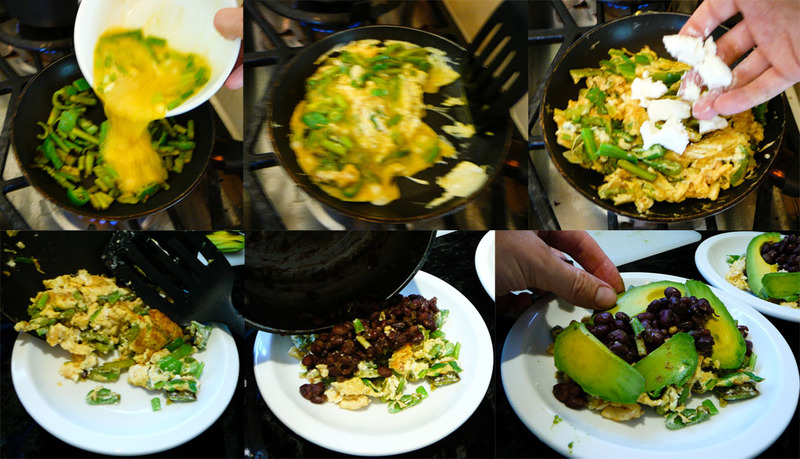 Mix up the eggs up with green onions, salt, and black pepper. 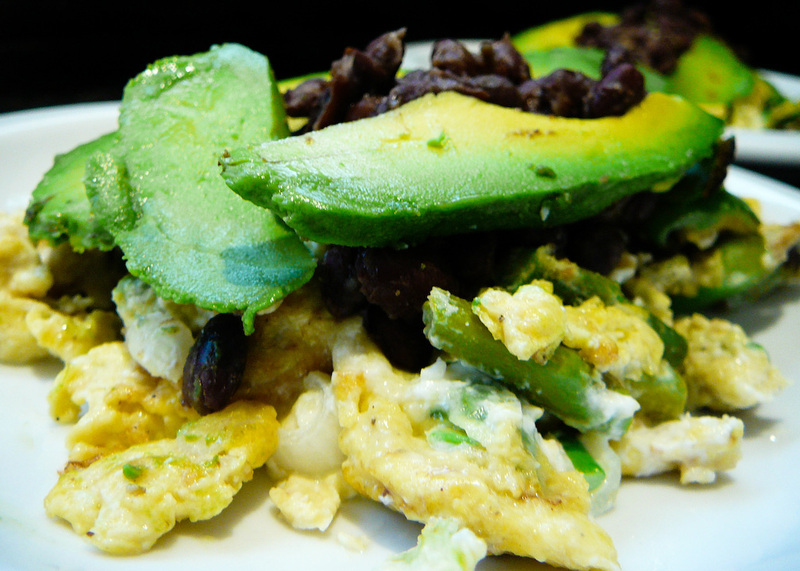 Pour the eggs into the sautéed veggies and scramble. Crumble in the goat cheese so it melts into the eggs. Split the eggs up between 2 plates. 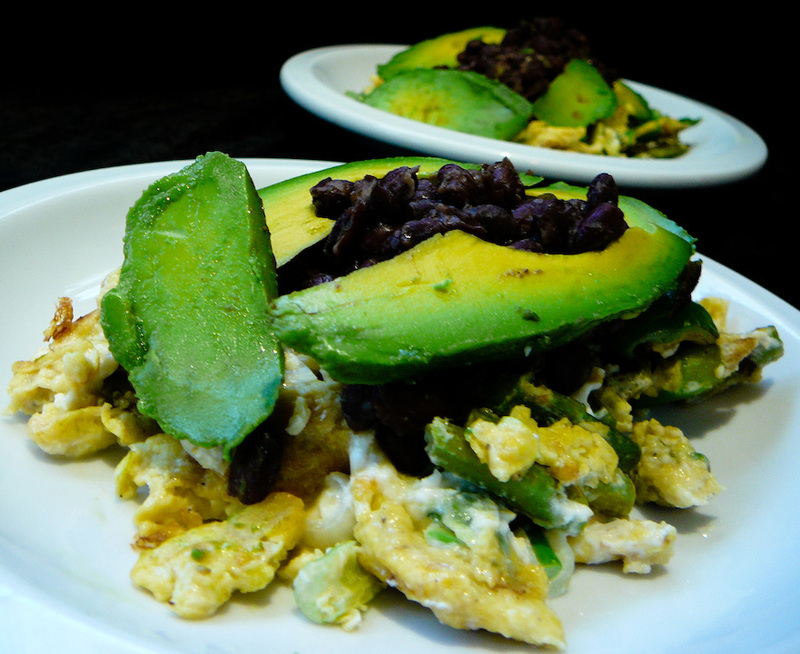 Crown the eggs with the black beans and avocado. Serve up solo or with a side of SALSA.